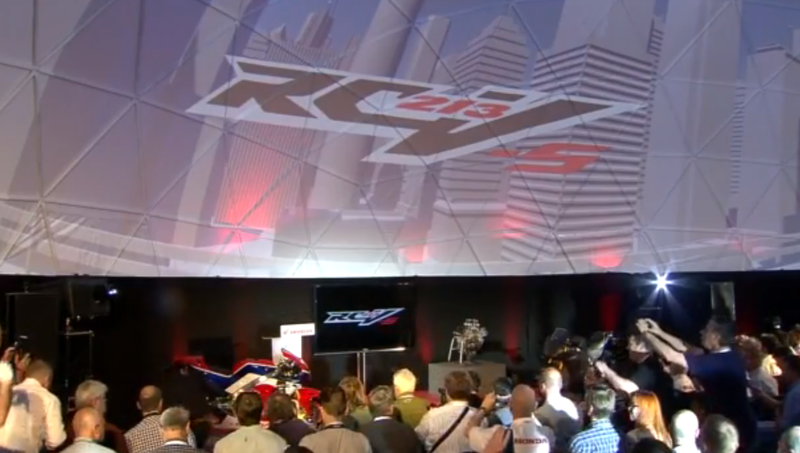 Honda RC213V-S will cost £137k. 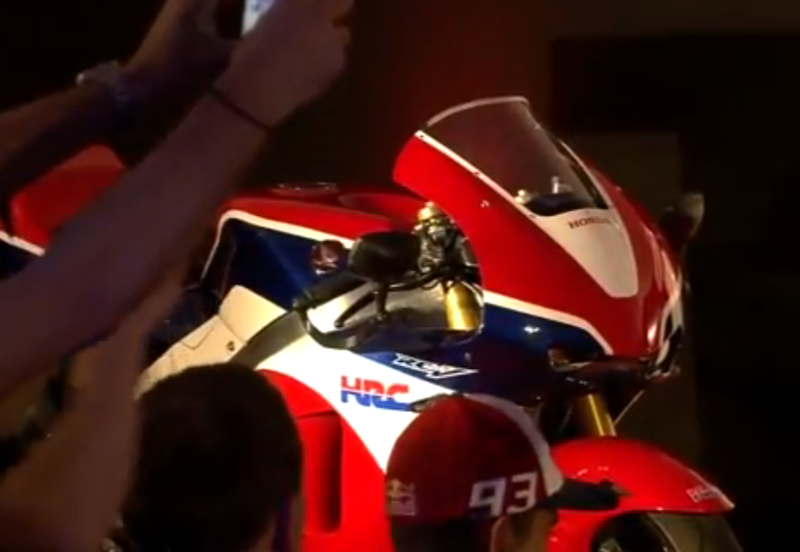 More details on the road going MotoGP bike surfaced today, during a Honda unveil in Catalunya, Spain. Built on a specific production line and on a limited run of one bike a day until the end of 2016, Honda has confirmed the price of the RC213V-S will be £137,000. Honda will make the minimum neccasary changes from MotoGP to road going. The pneumatic valves as seen on the current race bikes have been changed to coil spring valves and seamless transmission is out, much like the spec is on the RCV1000R open class bikes we watch in MotoGP. Also to comply with road rules, the exhaust has been changed. More steering angle has been added up eleven degrees from 15 to 26, along with a starter motor and a sidestand. In terms of electronics, the RC213V-S will have a power mode selector, torque control and engine break control. The bike will have five rider modes to choose from and a quick shifter. The electronic package is designed to appeal to multiple rider types in varying road conditions. There is an optional sports kit, which unlocks the full power and speed that the race bikes have. It is expected that in full power mode, the RC213V-S will produce around 205bhp at the wheel. In standard trim, the bike will produce around 159bhp. 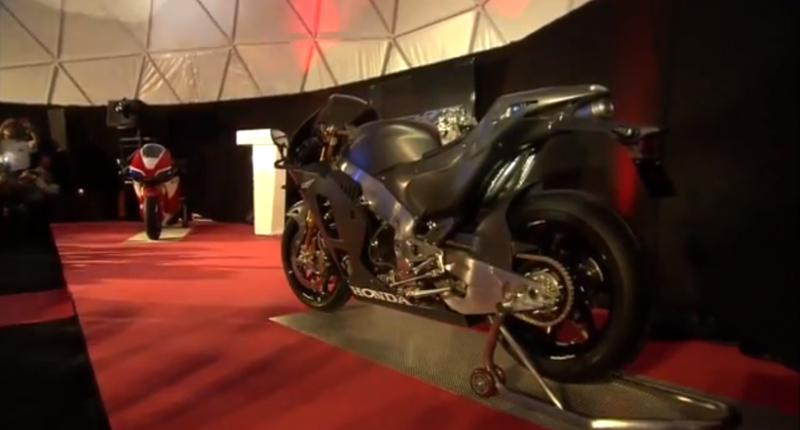 Yes, you read that right, £137k for a road going MotoGP bike that produces less power than a Honda Fireblade. But a Fireblade doesn’t currently have the option of running at over 200bhp in track trim. Overall length (mm) 2,052 2100 ?2100? Overall height (mm) 1,110 1120 ?1120? Wheelbase (mm) 1,435 1465 ?1465? Minimum ground clearance (mm) 115 120 ?120? Seat height (mm) – 830 ?830? Caster angle (degrees) – 24.6 ?24.6? Trail (mm) – 105 ?105?